I sometimes receive e-mails from people who seem to think there is a way to paint a good painting - a correct way - which when followed produces an indisputably good painting. They seek a magic formula - Step 1, Step 2..., a closely guarded secret that they can use to become a good painter - quickly. When I hear this, I wonder: Is there a correct way to love someone? To make an ice cream sundae? To sing, to write music? It seems to me that the heart and soul of art, and some other things, is how each person creates their own unique likeness. Rather than being a weakness of art, this infinity of possibilities is really its strength. In so many areas of life, especially nowadays, there really is only one right answer and one right way. We have become so regimented in society that every form we fill out, every can we open, every highway we drive on, must be done exactly. There are directions and instructions for almost everything - how to open a car window, how to use a MAC machine, how to figure our taxes. The left side of our brains is probably swollen from overuse, and conversely the right side - the daydreaming, creative part - is vastly underused. Of course we would think there is a right way to make art; just like in trigonometry, there must be some calculable answer! But as Matisse said, "Exactitude is not truth." We are so busy following the letter, we are forgetting about the spirit. And the arts are all about spirit. They may be the only place where there is no one answer - only limitless possibility. Perhaps this bungie jump is scary for beginners - but try it for awhile, you will catch on quickly to the joy of this freedom. One of the main purposes of art is discovery - of self, of visual ideas, of expressive possibilities. There may be some art teachers who feel that there is only one way; they are wrong! Other art teachers may, in an effort to encourage us to follow our own inclinations, take a backseat by being non-directive. Instead of being the result of laziness or indifference, this may be their way of leading us to ourselves, to trust ourselves. There are differing viewpoints among artists - called aesthetic viewpoints. The Minimalists may look down on the realists; the realists may look down on the abstractionists, etc. In the 20th century, the art "isms" encouraged this behavior: the Futurists thought their manifesto was the proper future for art; the Surrealists felt they had found the ultimate reality. When these differences cause artists to believe that only their doctrine is the right one, we reach the same dilemma as beginners who seek the Answer. How weird would it be if every artist produced Minimalist art, or all musicians played country music? To me, it seems suspicious if even two artists do the same kind of work; not just in the sense of one copying the other, but because one of them is not being true to him/herself. Another art fallacy is the Masterpiece. In the Renaissance, when this concept came to be, an artist was considered a craftsman/tradesman. He or she studied as an apprentice in the studio of an established artist, until they gathered sufficient competence to become a Master. At this point, they would produce their Master Piece, to show their progress. Since the Renaissance, the artist has grown into more of a professional situation; they are often taught in schools and graduate to become individual artists who are more or less free to produce what they want. Their reputations are not based on one work, but on a whole lifetime of serious work and study - for example, Cezanne. The common use of the word 'masterpiece' refers to a work that reflects formal and expressive "perfection." Some works, like the Mona Lisa by da Vinci, are called masterpieces. In the modern marketplace, this gives artworks great monetary value, but otherwise is not very meaningful. Oil paintings have been prized partly because of their longevity. Starting in the early 20th century, the idea of this permanence leading to value was questioned by artists; in fact the whole idea of permanence came into question. We realized that nothing is permanent - all is fleeting; artists began to incorporate this idea into their work. By the middle of the century, artists began deliberately producing works which would not last, such as Andy Goldsworthy and Robert Rauschenberg. This is similar to the idea that a rose is more beautiful because it dies; that all matter passes, and now being biodegradable is a good thing. We tend to live in the moment now. Even with the philosophical notion that nothing lasts, many artists (and collectors) value permanence in a work of art. Part of the expectation, after purchasing a work, is that it will last many years, even centuries. Oil paintings perhaps were considered the most valuable of mediums for this reason, until acrylics appeared in the 1950's. Acrylics are now considered permanent, being plastic (is this good for the environment?) So in this sense - the use of materials - there is a "correct" way to stretch canvases and prime them. Because of interacting chemicals in the materials, it is good to follow traditional practices when stretching and priming canvases, if we want our work to survive. Many people have asked me about using unorthodox materials in artworks - such as using hairspray as a fixative for pastel. They don't seem to be concerned about using permanent materials (correct ones), yet they want to find the correct way to paint their images. And using permanent materials appropriately together is the only place where they should be concerned about correctness (assuming they don't want their paint layer to dissolve in 10 or 20 years). We need to approach the arts differently than we do other things; rather than confront them head-on, demanding the right answer, we need to be more receptive than aggressive in our search. What we are looking for is our own voice. Cezanne hated when theory preceded practice; painters such as Emile Bernard who constantly theorized about painting, and never reached conclusions in their work. It's the zen riddle - when we think about it too much, we can't do it. This integrated, gestalt way of approaching art might be able to save us from all the other areas of ASAP, STAT, and sleepless nights, indigestion, and worse. It seems more and more like only "practical" things are valued in our society; the dreaming, imagining, thinking and feeling that art involves are discouraged as impractical. But essential things come from the experience of the arts, that are needed for our spiritual development. The arts are our safety valve, our canary in the mine; rather than exhaust us they give us a good fatigue that comes from purposeful activity - the opposite of the pointless repetitive motions many experience in their daily lives. Another situation where correctness may be a valid issue is in realist painting. We may want to use the rules of correct perspective and anatomy in our realistic works. People ask what are the rules of composition. These visual cues are constantly changing, and all the great artists I can think of are the ones who broke the "rules." They didn't always set out to do this - sometimes just in the process of being and becoming themselves they painted and sculpted in a new way. Looking for design recipes doesn't provide us with the authentic art-making experience, which is personal and experiential. When we use recipes, we are robbing ourselves of the most important part of the artistic process - like falling in love without spending any time together. When students are beginning, they go through a process with themselves or with teachers where they learn by trial and error the mechanical aspects of good composition - that is, what "works" or doesn't work in many images. They use the elements of color, line, shape, space, composition, and combine them using the principles of balance, harmony, contrast, movement, repetition, etc. If we multiply the number of elements by the number of principles, we get an infinite number of possibilities. As students, we try many combinations, to see what seems to work best, and what combinations seem to reflect what we are trying to do. We do hundreds of quick and sustained drawings and paintings, using various mediums. We gradually hone in on what we want to do, by adding and dropping possibilities in our tool box. When learning, it is easy to get frustrated and impatient with this sometimes tedious process. We will learn the most from just working; this is why it is possible to become an artist without formal training. We are influenced by our life experiences, our training, art we see, and more. All these combine in us to make our art. We need to develop ourselves, and also to trust our selves. To find our own voice, we experience as much of life as we can; we have lots of cultural experiences - theater, music, film, dance, poetry, literature as well as art museums, galleries, courses, etc. All these experiences can enhance and enrich our voice. Learning about other cultures is also important, and learning about the universe, the natural world, and history can also add to our reservoir. In the beginning, we will experience uncertainty and frustration; one way to deal with this is just to go out and paint the day. Sometimes we can overcomplicate things and become immobile. Try to maintain a balance between self-acceptance and stretching yourself. Pay attention to what is going on in the art world, and absorb what seems to resonate with you. Look at the "great" painters, those generally acknowledged as good. Study how they made their images - the process and method used. Copy them, to try to understand their color, space, composition, and how they were made. Stay close to the ones who mean more to you; look at them when you are discouraged - the ones who make you want to paint. Cezanne, Rauschenberg and Bonnard do that for me. Follow your music and poetry too. When I was in art school, I was mostly interested in contemporary art trends, although I did like the painterly effects of painters such as Manet, Gauguin, etc. Cezanne bored me stiff. A professor, after looking at my paintings, suggested that I look at Cezanne's work, and do simple still lifes from life. Unenthusiastically, I followed his suggestions; I got a book on Cezanne from the library, and just to keep myself from boredom I also got one showing the colorful shapes of Gauguin. At first the Cezanne paintings, subdued in color, were boring to me; but I landed on a painting of his wife in the conservatory that I loved. I figured if I loved this one so much, there must be something to this and kept looking. I settled on a landscape of his that became a visual revelation to me; I suddenly saw how his forms were compressed spatially - they were flat and yet had a powerful sense of depth to them. 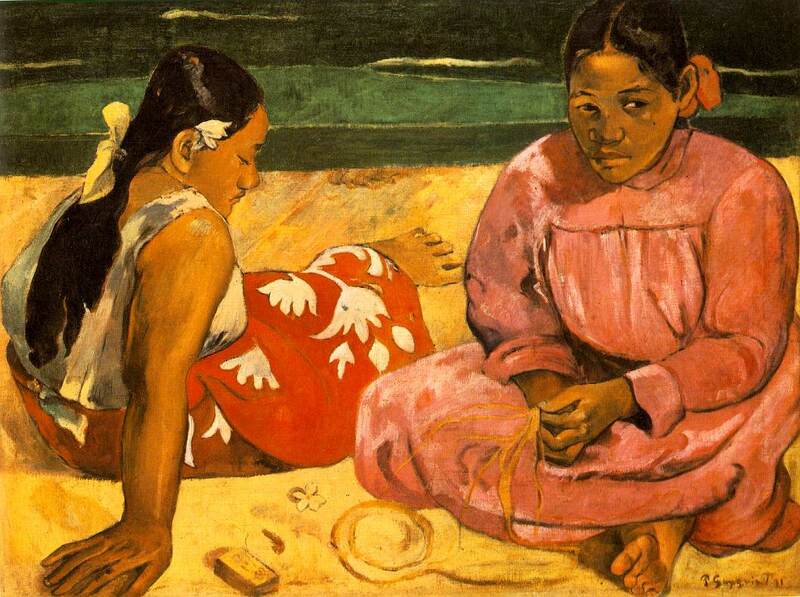 This changed my painting life completely, and now when I looked at Gauguin I saw little to interest me. There are usually reasons why certain artists are considered great. 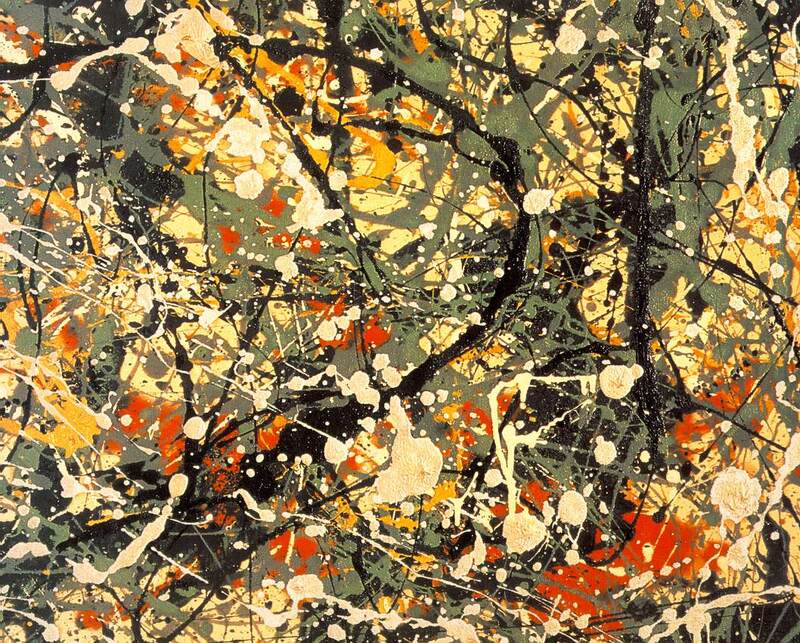 Pollock, Rauschenberg, Jasper Johns, Janet Fish, Helen Frankenthaler, Rothko, Van Gogh, Agnes Martin and many more. Look at contemporary work too. Good sculptors to study are Andy Goldsworthy, Rodin, Martin Puryear, Louise Bourgeois, Giacometti, Oldenburg, David Smith, Robert Smithson, and many more. Look at art and think: "I could do something like that," and "How was that done?" Steal in the beginning - not by plagiarizing images, but by trying things you see. For example, I once caught a glimpse of a landscape of a fellow grad student, where he had underpainted the green with red. How this electrified the color! I realized that colors underneath can affect the image greatly, offering more depth and interest. Art began with paintings on cave walls and small stone carvings, for mysterious purposes. Since then its purposes have changed greatly many times, and will continue to do so. Its manifestations are infinite; rather than imprisoning us, this sets us free to do as we wish. We can learn one magic formula, such as how to paint a flower - or we can develop our perceptual skills by drawing and painting, and we can learn to draw or paint anything, including forms we've never seen. And if we go even farther by developing our selves and our expression, we can become artists. You will gradually discover and develop yourself - then you will become original. Art-making is a magical process - you will start to see more, feel more and express more. You will be more than just a painter or sculptor of forms - you will be an artist; more than just visual, more than just "correct." This doesn't mean, however, that the quality of all artworks is the same. Some are better than others; describing why is the subject of another essay, but it is safe to say, for instance, that the writing of Shakespeare is better than that of Jacqueline Suzann. We can say that certain elements enter into aesthetic judgments about artworks: a knowledge of art history (what's been done before), awareness of schools of aesthetic thought, knowledge of formal elements and design principles, expressive value, technical achievement, the quality of extreme attention paid by the artist to the work. Some or all of these things enter into a value judgment of art. Simplicity doesn't disqualify a work of art; Beethoven's Moonlit Sonata has a very simple opening melody, but this doesn't mean that anyone could have conceived it. And saying "Anyone could have written that" is beside the point; a compelling guitar riff, like the one in the Rolling Stones' Satisfaction, could also have been done by anyone, in theory, but it doesn't affect the quality of the music to us. A simple abstract painting can be perceived in the same way, such as one by Mark Rothko. Like a surgeon who performs a "simple" tonsillectomy, a serious artist is usually one who has done a lot of studying and working to arrive at his/her simplicity. Some of the surgeon's background knowledge is in anatomy, the surgical process, anesthesia, biology, and what to do if something goes wrong. These are just some examples of why you or I couldn't perform a simple tonsillectomy. Artists, whether formally trained or not, study elements and principles of design, art history, contemporary art theory, aesthetics, drawing, painting, other media such as printmaking, sculpture, photography, ceramics, and much more. After many years of making, thinking about and looking at art, they accumulate experience and understanding (hopefully) that help them to arrive at discriminating judgments about artworks, just as our familiarity with the history of popular music gives us an informed opinion of current music. Art isn't like athletics, where the physical repetition of movements will produce improvement over time (as in eye/hand coordination). Art is more in the mind and the heart. So, to find our own voice we need to develop our minds and hearts. I once read a Chinese proverb that "He who knows others is clever; he who knows himself is discerning." When learning, we try to discover through our work who we are; it gradually is revealed to us, and continues to change. Art also differs from sports in that there are very specific and clear-cut goals in sports; the clear goal of victory is achieved when the number of balls through the hoop is larger for one team, in a given time period. Sometimes it is hard for people to function without these clear-cut goals and procedures. But this is the value of art - it allows us to keep and cultivate our minds and hearts, in a world where score is always kept and the rules never vary.